We are deep into a recession even though technically we managed to escape the definition of “recession”. Unemployment is rising due to retrenchments. We are handllng more and more cases of Refinancing of Car loan from Private passenger cars to Uber, Grab as people use this to supplement their income. While on the other hand, our private residential housing data seems to indicate a revival of sorts with vacancy rate falling from 8.7% to 8.4% in Q4, 2016, while rents are falling, this just seems rather odd to me. In Q4 2016, property price index for all the residential property types further dropped from 137.9 to 137.2, representing a -0.5% change compared to the last quarter. Rental index further dropped from 105.6 to 104.5 a -1.0% change. For the whole of 2016, private residential property prices fell 3.1%. For the whole of 2016, developers launched 7,877 (sold 7,972) units compared with 7,056 (sold 7,440) units in 2015. Although these were fully sold, launches less than 8000 units a year is on par with the worst years in every property cycle. Could small launches and delayed completion of supply of units be causing vacancy rate to drop? 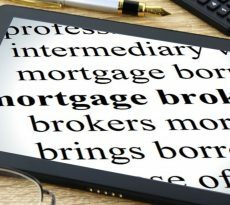 What is the current stock of housing? As of Q4 2016, there are 348,080 private residential units and 29,197 vacant units, vacancy rate 8.4%. There are 23,821 Executive Condominium units and 3,364 vacant units, vacancy 14.1%. There are some 992,472 HDB property units as at 31st Mar 2016 (HDB Annual Report 2015/2016). Vacancy is assumed to be small as HDB mainly for own use, for only a small percentage of HDB has permission renting out whole units. 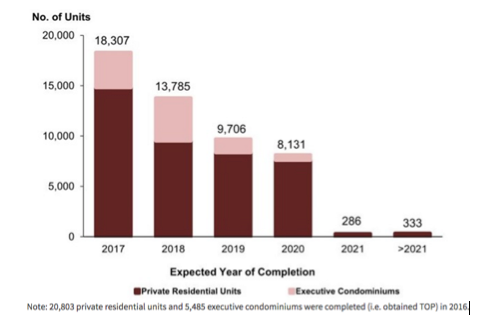 There are some 18,307 units of condominiums schedule to be completed in 2017, 13,785 in 2018 and 9,706 in 2019. URA Q4 2016 press release of Private residential property statistics on supply in the pipeline to be completed in 2017, 2018 and beyond. As at 4th Quarter 2016, there was a total supply of 40,913 uncompleted private residential units + 9,635 EC units in the pipeline. A joint total of 50,548 units are in the pipeline. Of this 50,548, 23,041 units (including EC) remained unsold. The unsold units does not seem too many, as long as it is released gradually it should not affect the prices too much as a release of 8,000 a year for the next 3 years seems fine. But any unsold units upon completion will become vacant units for sure unless developer rents it out. The oncoming expected completion in 2017 and 2018 will surely add to the vacancy rate as rental is extremely hard to come by, unless 100% of these supply is meant for own use. If vacancy rate falls yet again (while rental remains weak), this will be cause for a detailed further study. If you intend to buy a new launch unit, remember to get an Approval-in-principle home loan to secure financing first so you can search for your property in peace. Vacancy rate started to rise from 2009 through to 2016 and peaked at 8.9% before starting to fall again, this is the 2nd highest in the past 16 years. The last time this was 9.1% in 2nd Quarter 2000. Lesser units launched and completed in 2015 and 2016, with developers delaying completions may have caused vacancy rates to drop. However as more units are completed in 2017 and 2018, the vacancy rate could rise again. 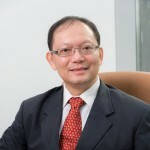 Property Vacancy Rate in Singapore – How is it measured? A private residential unit is deemed vacant when the water and electricity bill falls before a certain threshold. If a unit is occupied, it will consume both water (total number of litres of water used) and electricity in Kilowatt hours (KwH). If for example a median household consumes 20,000 KwH and 560 litres of water a month, the definition of a vacant unit could be set at 20% of that. That means if a unit uses less than 4,000 KwH and 112 litres of water, it will be considered vacant. URA does a random survey with survey size up to 80 to 90%. I was told that 100% sampling will soon be implemented. There will be no sampling margin of error, only possible vacancy definition error on what constitute a vacant unit. URA has kept the threshold of a vacant unit confidential, hence we can only guess. If the threshold is set too low, the unit could be vacant and yet be considered occupied. When Property agents turn on the air-con prior to viewings and make the place nice and comfortable using up electricity and water. This could pass the threshold and be seen as “Occupied”. A unit could remain vacant as tenants cannot be found, the owners use it for their weekend mahjong or watching football matches and occasionally leases it out via AirBnB a few days in a month. This could also show up as a FALSE “Occupied”, skewing the statistics. I am taken by surprise that the vacancy rate dropped from 8.7% in Q3, 2016 to 8.4% in Q4, 2016. Hence was wondering whether the definition played a part in the drop in vacancy rate. Vacancy rate for CCR, RCR and OCR were 9.6%, 9.6% and 7.1% respectively in Q4, 2016 as Core Central Region (CCR) tends to be investment units hence it has a higher vacancy rate during rental weaknesses. Could the actual vacancy number be higher than the statistics say? Falling Household Sizes in Singapore a Concern? How to keep the vacancy rate stable while rental is very weak. The only way and the only explanation is, “Owner own stay”. If Property buyers are moving into the units, the household sizes across Singapore will continue to fall. According to Singstat, Singapore’s resident (Singaporean + PR) households is 1,225,300 in 2015, (Singstat excludes those who have been away for more than 12 months, presumably many PR are no longer in Singapore). We have a household size of 3.39 in 2015. Household sizes have been falling throughout the years. “A household refers to a group of two or more persons living together in the same house and sharing common food or other arrangements for essential living. It also includes a person living alone or a person living with others but having his own food arrangemetns. Although persons may be living in the same house, they may not be members of the same household. Average Singapore Household sizes have been falling steadily. Due to the definition of the “Household”, a single person staying with parents is considered 1 household. If this single person buys a condominium and moves out, then the single person is one household and the parents will be another. (Since this single person will most likely have his own “food arrangements”). Married couples living with parents may be considered 1 household if they share common food or other arrangements for essential living, if they move away into the condominiums, presumably they will be another household. These leads to household sizes falling over the years. Household size is already 3.39 in 2015, how low can we go? If we continue to build condominiums and these are all going to be occupied for own use, the household sizes will continue to fall. Are we reaching the limit of Owner buying for own stay in time to come? There is a limit to how much more condominiums new launches we can build and absorb as our household sizes gets ever smaller. Unless we bring in a lot more PR. What this means is, singles staying with their families are moving into condominiums or married couples staying with their parents in one household are now moving into their own private residential housing. Vacancy rate drops without a rental market picking up tends to mean people are moving in to stay, hence resulting in a long term fall in average household sizes. If this is indeed true, we have an inefficient economy that is over reliant on property while the citizens and residents are overly “taxed” via high property prices and mortgage repayment, trading their savings for property assets. 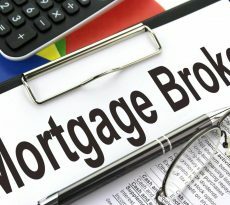 However high prices for properties also mean high overall mortgage interest cost which is essentially a tax. This property “asset” ties up much capital and is a dead weight on Singapore’s economy as it ties the borrowers into heavy debt and suffocates Singapore’s creativity and development into the new economy. Singapore Inc. needs to look into talent shortages in the new economy, it is surely not Singaporeans being less capable, it is the land and housing cost structure that inhibits Singaporeans. Vacancy rate measurement may need review as different minimum thresholds used may create a false “Occupied” unit, leading to the statistics being skewed. Renting out units is going to be so much harder as there will be a lot of variable supply for 1 and 2 room rentals as smaller “households” tend to have spare room capacity. With so much more units to be completed in the pipeline, it will be interesting to watch the vacancy rate directions. If the vacancy rate falls further without a pick up in rental, this could be the cause of another article to investigate the reasons. As it stands, the economy looks bad and rentals are falling and tenants are hard to come by, there is really no data that supports a falling vacancy rate.